Just about to pass the first tower. Shot just before sunset whilst travelling towards England. 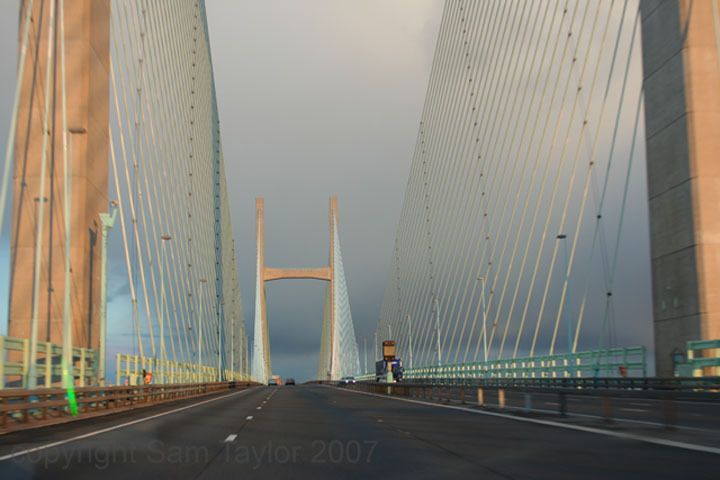 There are some historical images on the Severn Bridge Website.